A few weeks ago, we mentioned that we bought back many of our Mickey Mantle baseball cards from 1953 all the way to 1969. 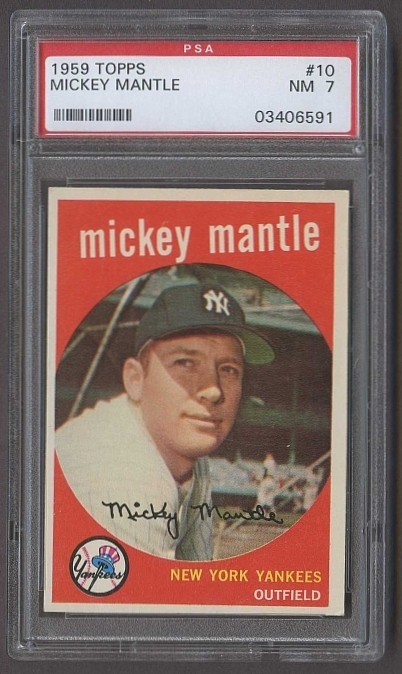 Since we wrote that article, a few of the cards have sold, but we have also enjoyed the opportunity to really look at our collection of Mantle cards. One of the earliest Mantle card that we have is highly representative the 1953 Topps set, which consists of hand-drawn pictures that were made using the real photographs. This particular set includes many close-up head-shots. 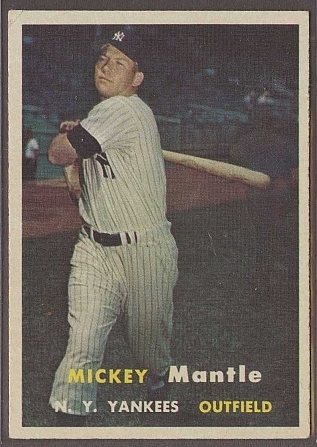 While there may be more attractive and more expensive cards of the Mick, the 1953 Topps #82 Mickey Mantle card feels like it is one of the most personal. Another staff favorite is the 1957 Topps #95 Mickey Mantle card. The 1957 Topps set is the first Topps set to feature photos in a natural background. Although actual photographs were on the 1954 set, they were on a solid-color background. This set is also the first smaller sized cards issued by Topps. This photo of Mantle in his Yankee pinstripes is difficult to find, primarily because of condition issues. Finally, one of our most expensive cards from the 1959 Topps set is the #10 Mickey Mantle PSA 7 NM card that we currently have in stock. This card has the classic "framed" look, which was borrowed from the previous year's football set. 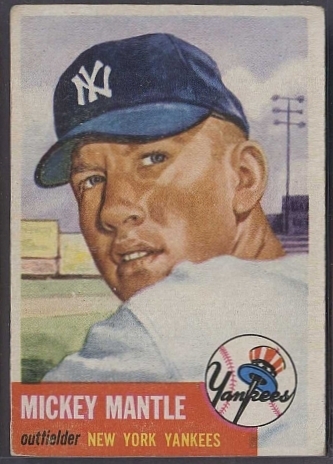 This particular card is one of the cleanest 1959 Topps Mickey Mantle cards that we have ever seen. To view all of our Mickey Mantle cards, please click here.